Trump is pursuing several ulterior motives in sparking a new crisis with North Korea. There are many explanations floating around which seek to answer the question of why Trump has all of the sudden decided to prioritize North Korea. The conventional view has to do with a combination of Pyongyang's repeated missile tests in violation of United Nations Security Council (UNSC) sanctions and the related need to "justify" the Terminal High Altitude Area Defense (THAAD) deployment right on Russia and China's doorstep. These points are certainly valid and serve as the most obvious reasons behind Trump's actions, but there's more to it than people might initially think. Trump doesn't just need to "justify" THAAD's Northeast Asian deployment in the eyes of Russia, China and the international community at large, but most importantly he needs to convince his new South Korean counterpart Moon Jae-In that this move is in his country's best interests. The new leader was initially skeptical about this, and part of the reason why he was elected is because he campaigned on a mildly pro-sovereign platform, which made him stand out against the more traditional pro-American candidates. Furthermore, his administration has been hitherto hampering THAAD's deployment through the plausibly deniable means of conducting "environmental assessments" rabbit its impact, but now that Trump has provoked a new crisis with North Korea, President Moon has considerably less flexibility to stand in his way. This also implies that he will walk back from his plans for a new Sunshine Policy towards North Korea. Bearing these two interconnected factors in mind, it's likely that one of the ulterior reasons behind the US' sparking of the Korean Crisis was to sabotage President Moon's campaign promise to seek rapprochement with North Korea and force his hand in getting him to begrudgingly accept THAAD. Not only that, but with North Korea in the news once again for issuing hyperbolic threats to bomb Guam and the US mainland, Trump now has the perfect cover that he needs to push through billions of dollars in spending for his country's missile defense systems. This works out perfectly to the benefit of the military-industrial complex and all of those individuals, including in Congress and his administration, who have invested in the pertinent companies. Trump is masterfully playing Kim Jong Un in getting him to say the most outlandish things in response to the president’s deliberately provocative tweets and comments, and this is precisely what the US needs to happen in order to accomplish the abovementioned goals. Granted, North Korea's security issues vis-à-vis the US are legitimate and it has every right to express itself as it pleases, but it's just that its characteristic over-the-top style is counterproductive both for its own interests and those of its multipolar partners. Lastly, being the consummate deal maker that he envisions himself as, Trump doesn't want to let a "good crisis go to waste" and would like to achieve some tangible diplomatic dividends from it when all is said and done. To this end, it's very possible that the timing of the latest upswing in peninsular tensions was intentionally coordinated with its military-strategic ally India's new incursion into China's Donglang tri-border region with Bhutan. 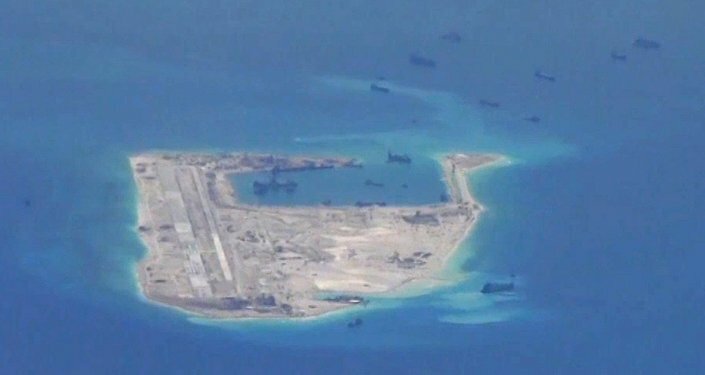 With China now facing two simmering situations on completely opposite fronts, to say nothing of the ever-tense state of affairs in the South China Sea between them, it's possible that Trump calculated that this would divide Beijing's strategic attention to the point where it will be forced to prioritize one over the other. It appears as of now that China has chosen to pay more attention to the Indian one because of the far-reaching and long-term implications that a clash between the two Great Powers would have for shattering BRICS and Shanghai Cooperation Organization (SCO) unity and consequently disrupting the emerging multipolar world order. If this reflection of reality is accurate, then it would explain why China has been relatively nonchalant towards the entire Korean crisis and even went along with the latest US-led UNSC sanctions against Pyongyang. In addition, it would also show that the US' plan in squeezing diplomatic "concessions" from China on North Korea by distracting it with India has been a relative success so far, yielding the tangible dividends that Trump and his team expected all along.